The Accelerator was designed to help athletes accelerate more quickly and powerfully for longer distances. While the Explosive First Step focuses on an athlete's initial burst of speed in the first steps, the Accelerator focuses on maximizing an athlete's first 20 feet when her or she is accelerating. 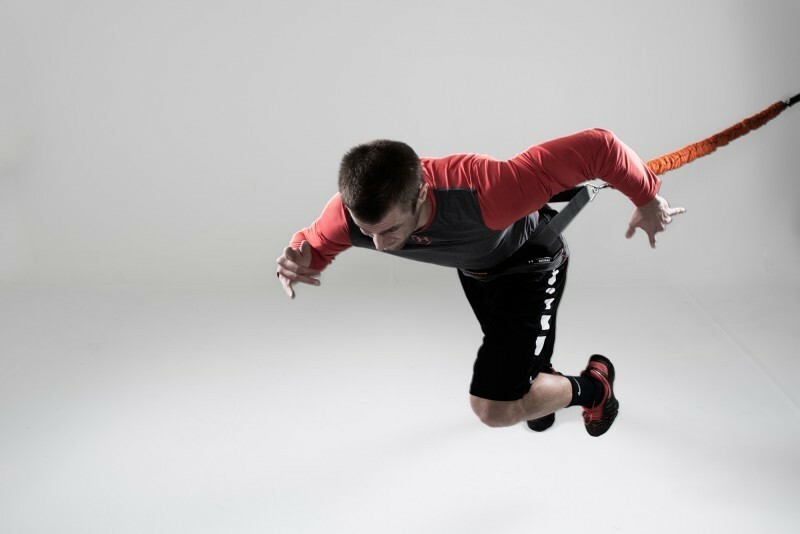 With a ten-foot Slastix attached from the shoulder harness to a fixed object, athletes gain the benefits of resistance while accelerating for a full 20 feet. Includes one 10-foot heavy resistance Slastix, Shoulder Harness and XL Anchor.